Albeit having suffered losses on its balance sheet first time in four years, the BOJ is poised to keep its current policies in place, whilst the monetary stimulus inefficiency could be addressed by a greater fiscal effort from Japan’s government. The Bank of Japan is preparing to expand its monetary stimulus further amid stagnant macroeconomic dynamics due to international headwinds and domestic challenges, but its options are limited. Japanese authorities are considering another round of monetary and fiscal stimuli aimed at boosting economic growth as post-Brexit anxiety impairs the performance across most sectors, despite the influx of money into bonds and national currency. Japanese PM Shinzo Abe said a planned increase in sales tax will be delayed till at least 2019, stirring concerns of the government's fiscal sustainability and an outrage in corporate sector, facing falling revenues from international trade exacerbated by Abe's newfound isolationism. Japanese Prime Minister Shinzo Abe, having warned of the looming global recession on Friday, was reported to have planned a massive structural reform based on an expanded fiscal stimulus that effectively pulled Japan out of the late-2015 recession in the first quarter this year. Japan's exports slumped more than expected in April, despite a positive current account balance last month, resulting in a deterioration in manufacturing in May, and exposing an urgent necessity for structural economic reforms to reduce the nation's exposure to international trade patterns. Japan’s finance ministry announced they will print more money as people lose trust in the country’s official financial architecture. 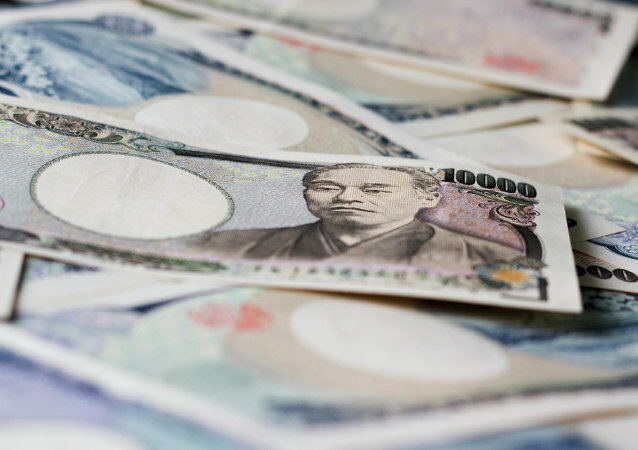 Brexit fears have spurred a massive revaluation of the Japanese yen as international investors have started exiting European financial markets, seeking safety elsewhere, meaning Japan might soon face a slump in exports, posing major challenges to its growth prospects. Following a historic vote of confidence on November 30, the yuan, also known as the renminbi, was afforded the IMF reserve status and is to join the fund's basket of reserve currencies in October 2016.